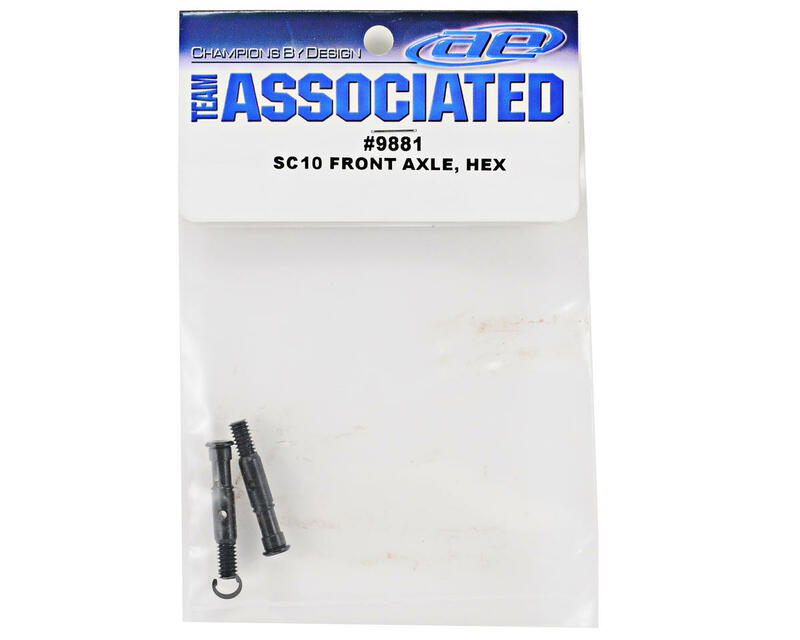 This is a replacement Team Associated Hex Front Axle Set, and is intended for use with the Associated SC10RS. These can be used to convert the standard SC10 to hex drive, but must be combined with the Associated hex steering block set (ASC9880) and wheel hex adapters (ASC9883), as well as Associated 12mm hex wheels. Used on a T4.1 and worked good, used c clip and made front end tighter. 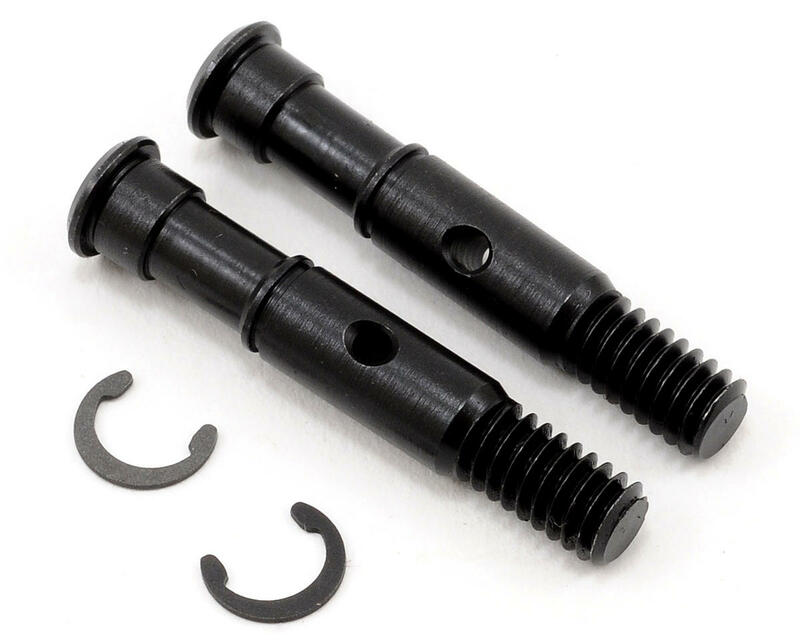 I wouldn't recommend these, I bought these to inexpensively update my SC10 but they broke where the pin passes through on the first night of racing, plus they don't come with wheel nuts which is puzzling considering they market these as an updating option for the original SC10 which has a much smaller wheel nut and cannot be used with the new part.